Enjoy the best inspirational, motivational, positive, funny and famous quotes by Albert Pollard. Use words and picture quotations to push forward and inspire you keep going in life! 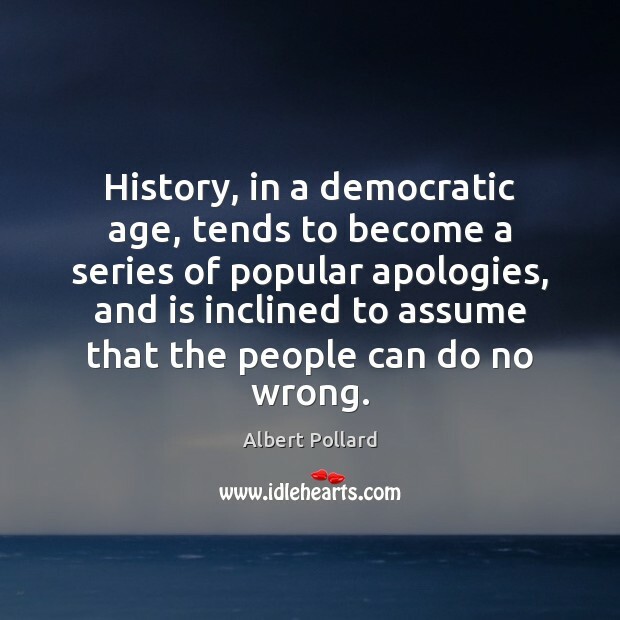 History, in a democratic age, tends to become a series of popular apologies, and is inclined to assume that the people can do no wrong.